Spring has finally reached us here in the Northeastern part of the US and I’m incredibly grateful for that! In fact it has been more like summer the last few days but as I write the weather is happily becoming much more seasonal. 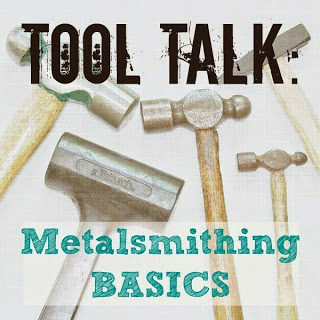 Today I want to talk to you about metalsmithing tools in a general way. I recently purchased a new tool and man it is a monster of a tool. I purchased this bench shear from Northern Tools for a mere $100-ish (I found an online coupon for $20 off then shipping was an added expense). That felt like a steal of a price to me. It’s not a beautifully polished tool with all the bells and whistles, but you know what? It cuts metal like a knife through butter. Sweeeeet! I tried to get my hand in the picture to give you an idea of the size of the shear. 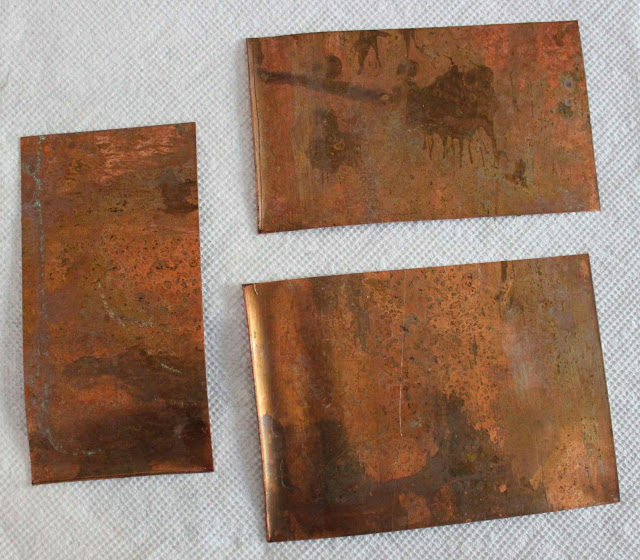 I make all my own blanks from sheets of upcycled metal – sometimes very large metal sheets. Each piece goes through many steps (you can see some of that process in my earlier post) before it’s finished. The sheet needs to be cut in stages, minimizing waste, before becoming the appropriate size for a finished, wearable piece of jewelry. You don’t want to know how I’ve been cutting down my metal sheet. Okay maybe now that I’ve said that you do. I’ll share my dirty little secret with you …. but please keep it to yourself, I’m a little embarassed to let this secret out … I’ve gone from using metal cutting shears (not so bad but awkward on large sheets) to using a paper cutter (gasp!). An old fashioned paper cutter actually worked. I don’t suggest trying this method at home as it does have its drawbacks which I’m not going to go into now but I’ll repeat that I don’t recommend trying that method at home. You’d think I’d be excited about a new tool (well yeah I get excited about tools!). When I made the decision to purchase this bench shear I ruminated on it after I placed the order. I had a slight taste of disappointment hanging around because I wasn’t buying a pretty shear as seen in the popular jewelry making tool & equipment catalogs. Once the tool arrived and I cut that first piece of metal all thoughts of disappointment disappeared. 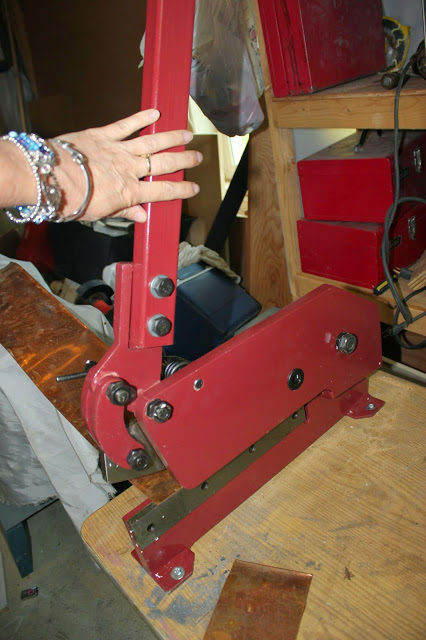 The bottom line: this tool is going to do what I want, speed up the process and get me to best part of making jewelry components which is the decorating and finishing. 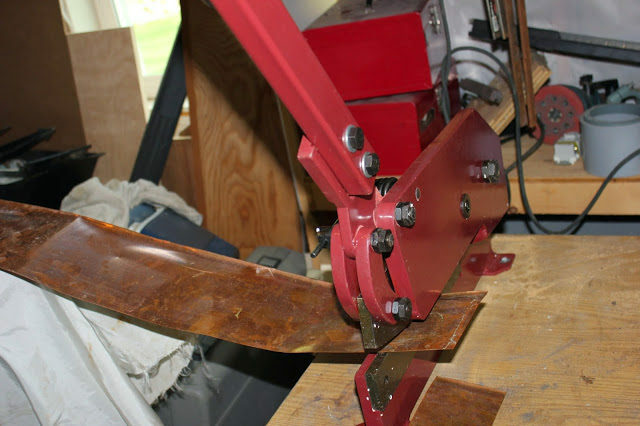 The monster shear will be very useful for cuting long strips of metal for rectangle or square designs. But to the point of this post and the lesson I’m learning. Don’t be afraid to buy what you can afford. There are many tools which can be found with a smaller price tag which aren’t quite as polished as the high end tools that will work for a metalsmith of finer jewelry designs . You don’t always have to have the high end tool to get the job done. That being said I do think if you’re talking about hand held tools it’s better to buy the best you can afford. I do see a huge difference in quality hand held tools vs. cheaper tools. I’d like to leave you with a few YouTube links. These are a few of the people I’ve followed over the years. As a self taught metalsmith I’ve learned quite a bit from these wonderful folks. 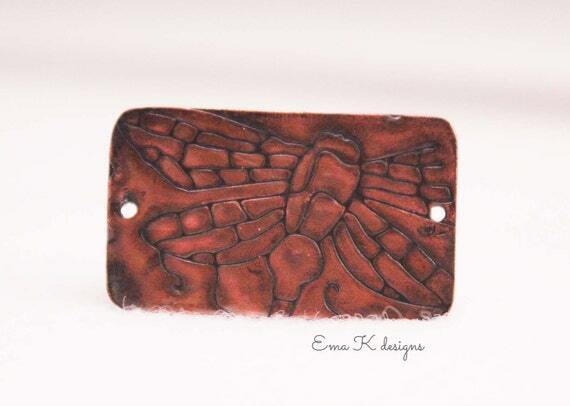 Melissa Muir creates beautiful art jewelry and shares wonderful, instructional reviews of tools. Melissa is sweet and full of superb information. Find Melissa on YouTube. 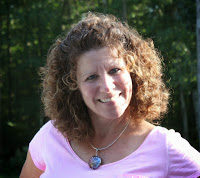 Nancy Hamilton creates stunning jewelry designs and shares many instructional videos on tool uses and how to videos. Nancy is a little on the wild side (nothing she doesn’t acknowledge) in a fun way so be prepared. You must check Nancy out on YouTube. 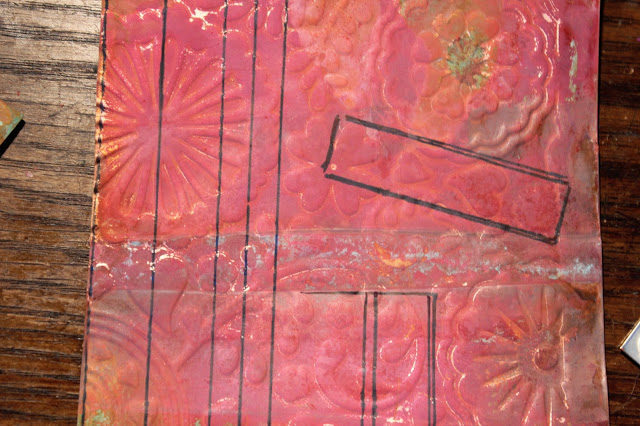 George Goehl has some great metalsmithing videos too. 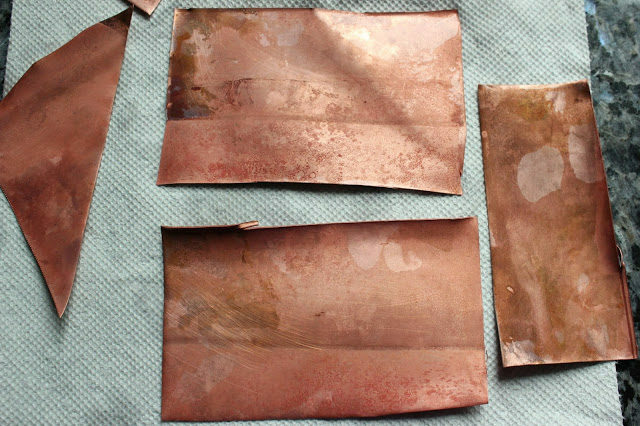 George’s YouTube videos cover shop tips, how to’s and all types of useful metalsmithing information. George’s videos are a little dry (sorry George) but there’s just something I love about George’s shop and approach to working metal. It’s a little rough around the edges (I mean that in a comfortable fit, favorite jeans kind of way) always yielding a beautifully finished product. I think his shop reminds me of my own grandfather’s shop (who has long since passed). Shopping. In no particular order. These are some of the places I’ve purchased tools and equipment from over the years. I have no affiliation with any of the companies I’ve listed. Please feel free to shop around and leave a comment sharing your favorite places to shop for metalsmithing supplies and tools. Wow Ema!! that sounds like a great machine!! Thanks for such an informative post!! Now THAT is a tool! 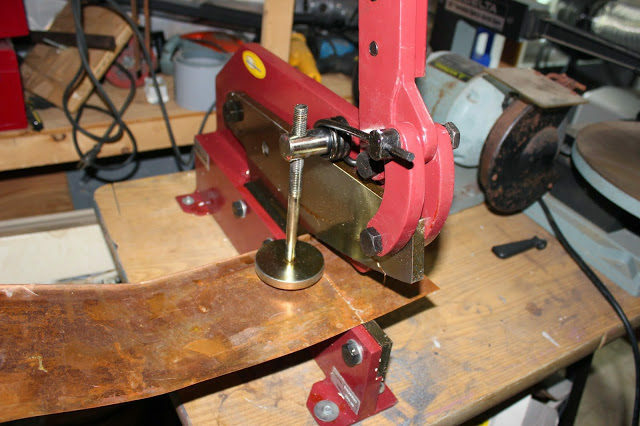 I think my jewelers-grade bench shear only cuts down to 16 gauge sheet, though I have only gone so low as 18 gauge…and that is touch to do! Sound advice in this post for sure! Thanks for sharing! Thank yor for this information. Tool talk is one of my favorite subjects. I also appreciate that you spend so much time on sharing, good and bad. I love to work with metal but have to give it a break sometimes because it can be tiring. Thank you!